Angel mosaic revealed in Bethlehem Jump to media player Italian restoration workers at the Church of the Nativity in Bethlehem have uncovered a mosaic of an angel that was previously hidden beneath plaster. 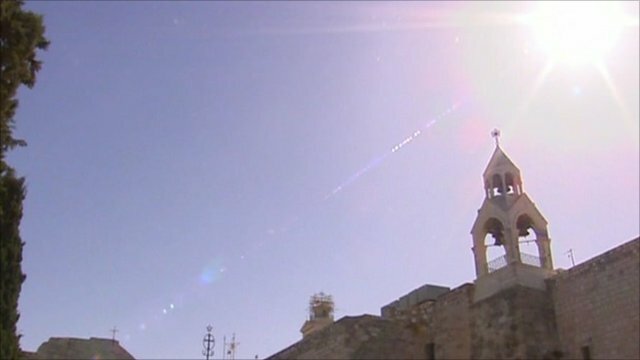 Palestinian Unesco site recognised Jump to media player Unesco has registered the Church of the Nativity in Bethlehem in the West Bank as a world heritage site. 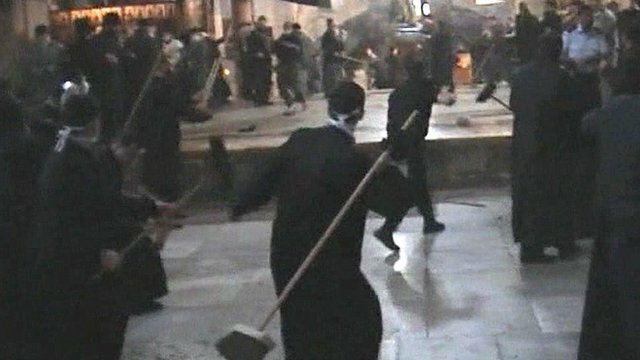 Priests brawl at Bethlehem church Jump to media player A fight broke out at the Church of the Nativity in Bethlehem after rival groups of Orthodox and Armenian clerics clashed over the boundaries of their jurisdictions inside the church. 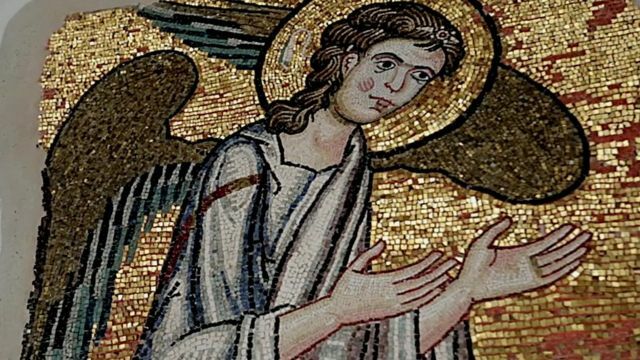 Italian restoration workers at the Church of the Nativity in the West Bank city of Bethlehem have been showing off a stunning mosaic of an angel that was previously hidden beneath plaster. Tensions between different Christian denominations have long delayed urgently-needed repairs at the church. But the Palestinian Authority brokered a deal between them enabling restoration work to start three years ago.